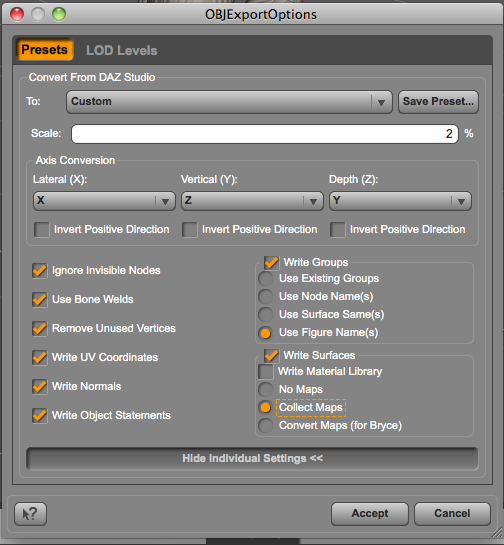 There are two methods to send Daz figures from Daz Studio to Blender 2.5. Which method to use depends on the final purpose of the transfer, animation in Blender or static illustration in Blender. These methods work in both Daz Studio 3 and the newer Daz Studio 4. They won’t work in versions of Blender prior to 2.5. I use Blender 2.58 at the time of this writing. Unfortunately, with both methods, you will need to re-assign your materials to the figure in Blender. With both methods you will have to fix the file to show textures in Blender. 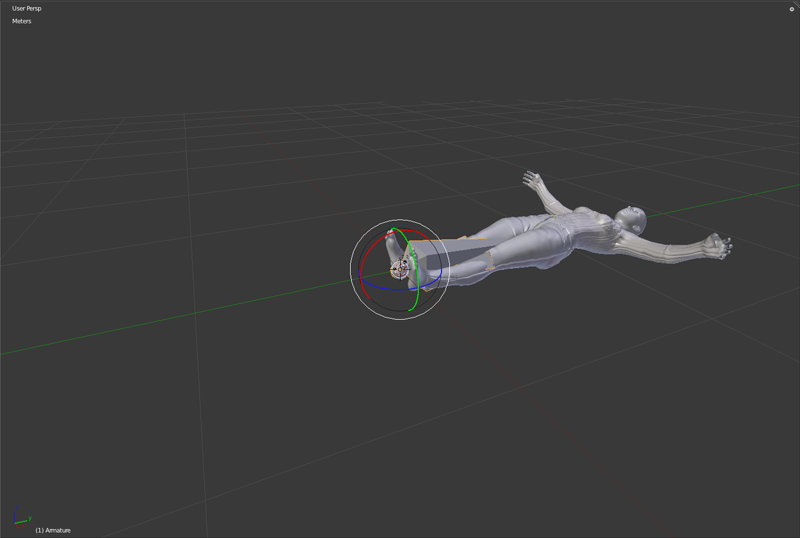 With this method, none of your poses will be preserved by Blender. You will need to repose your Daz Figure inside Blender. 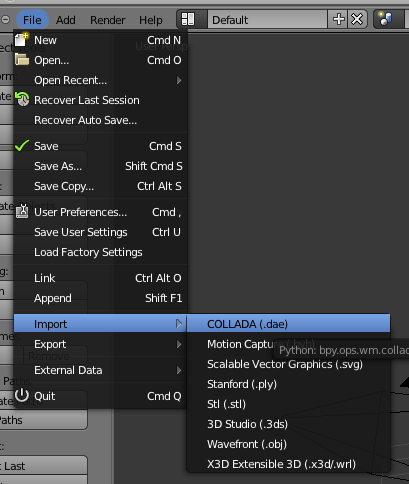 Move your Collada file into the same folder as your exported images. It should have the same name asyoput file. e.g. move myfile.dae into the folder myfile. 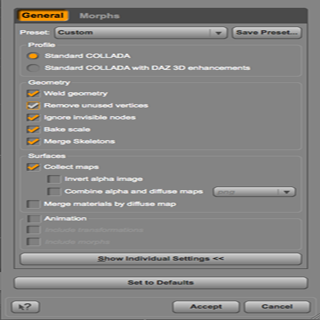 Edit the Collada file in any text editor by removing the path to your texture maps. e.g. change “./myfile/texture.jpg” into “texture.jpg”. This can be done with a simple Find and Replace. Open Blender and remove any objects in scene. 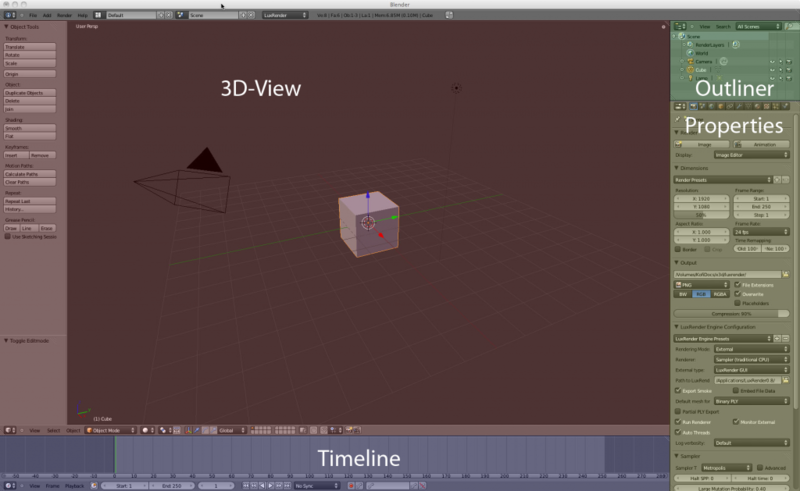 You can select items in Blender by clicking on the object’s label inside the Outliner panel or by clicking on the object in the 3D view. Tapping ‘x’ for delete and hitting enter will delete the object. Don’t remove the lights or the camera unless you plan to create new ones. Open the Root Node in the Outliner then select the Armature. This is the visual representation of your rigging. 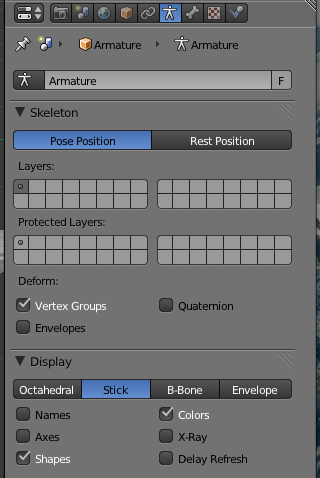 You can change it so that it is less obtrusive using the Armature tab in the Properties panel. 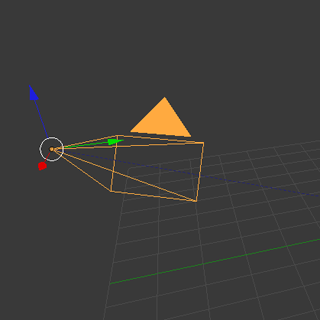 I selected ‘Stick’ view for my armature. At this point you can select the Root Node then resize and rotate your imported figure. To pose parts of the figure, first expand the hierarchy for the armature in the Outliner. Select the part you want to move and use the rotator tool to rotate the limb. 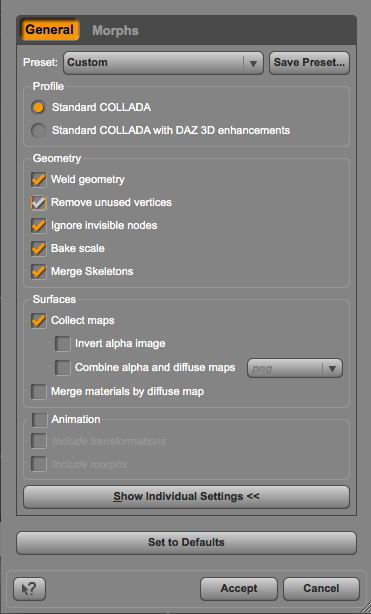 As mentioned before you will still need to re-assign materials but all of them should be in a Maps folder created when the Collada file was created. Now start animating! Re-Assign materials. This can be done quickly with obj files by moving your obj and mtl files into the Maps folder created during the export. Next edit the mtl file. Change all references from “/Maps/” to just the name of the exported image file. For example “/Maps/skin.jpg” becomes “skin.jpg”. Another simple Find and Replace operation. Step 3) Import the file into Blender. You’re done. Which is better? 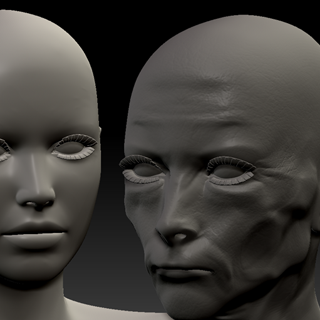 the answer obviously depends upon whether you want to animate your figure in Blender or not.